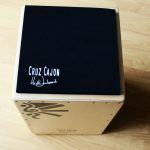 A complete course covering all you need to know to get started on the cajon, imparted by the amazing musician and expert Cajon player Heidi Joubert. Heidi Joubert has been a pioneer of the cajon, having performed with her band on cajon on the streets and music venues of London, in addition to having the fastest growing cajon youtube channel. She also runs the only Cajon school/club in the UK. This intensive course combines essential and fundamental technique, excersices and various different rhythms and grooves ranging from pop, rock, funk, blues to latin and flamenco rhythms. The course also introduces ensemble work and one practical class on how to apply the grooves and techniques we learnt in a live music situation with live musicians. NO NEED TO HAVE PREVIOUS EXPERIENCE OR OWN A CAJON TO TRY THIS OUT, WE HAVE SOME AVAILABLE FOR USE IN THE CLASS! 🙂 Limited so let us know asap, first come first serve! Cajon hire is to be paid BEFORE the class starts when you take the cajon. PLEASE BOOK YOUR CAJON AT LEAST 3 WORKING DAYS IN ADVANCE to avoid not having one available for hire! you only pay £20, thats 33% off! This is non refundable. 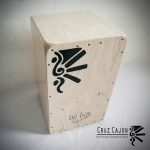 10% discount off the purchase of any of our Cruz cajons to enrolled students!